Trains magazine recently celebrated its 75th anniversary, and to mark the occasion, Kalmbach Publishing has released a new book – Great American Railroad Stories: 75 Years of Trains Magazine. The book is available both as a softcover and hardcover. As the name suggests, it features 51 stories chosen from across the magazine’s three-quarters of a century, including stories by some of the most famous railfans in the country: Lucius Beebe, A.C. Kalmbach, J. David Ingles, David P. Morgan, Jim Boyd, and many others. 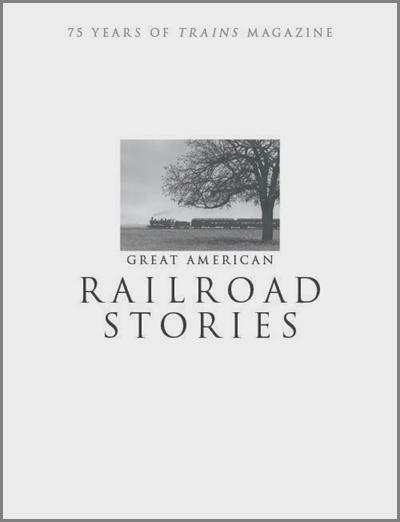 The stories include selections from the magazine’s first year of publication (1940), up through 2009, but many of the stories are historical pieces that document earlier railroad history – from the wild ride of “Death Valley Scotty,” to a firsthand account of taking a transcontinental train ride just weeks after it opened in 1869, and others. 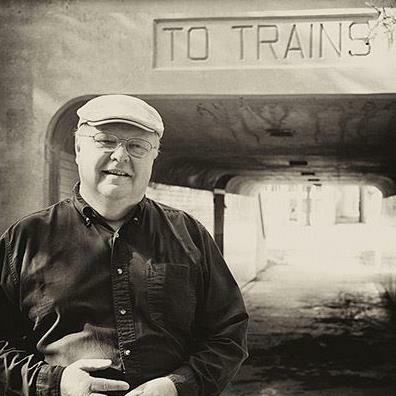 There are stories about working on the railroad, whether as a fireman or a telegraph operator, and stories about riding trains; some pay tribute to a favorite locomotive or railroad, while others tell about memorable people encountered on the rails. One of my favorites is “Confessions of a Train Watcher,” from 1957, by David P. Morgan, where the then-editor of Trains magazine explains his fascination with railroading. The book is beautifully produced, with 256 glossy pages and an easy-to-read typeface. The cover has only a single, small photograph of a stream locomotive pulling a passenger train – appropriate, since the emphasis is on the best stories from 75 years, and not necessarily the best pictures. But there are plenty of great pictures; the editor notes that they used the original photos to accompany the article whenever possible, but he acknowledges that there are fewer pictures, to keep the focus on the writing. If you like reading great railroad stories, or have an interest in how trains shaped American life, you’re going to want this book. If you have a friend or family member who is a railfan, he or she will DEFINITELY enjoy it. It’s probably not the kind of book you would read from cover to cover, but more like a magazine, where you skip around and read the stories that really interest you. The softcover has a list price of $24.99, and is available both at local book stores and online. It’s a little cheaper on Amazon, but if you have to pay for shipping, it probably comes out about the same. Great American Railroad Stories: 75 Years of Trains Magazine (Kalmbach Books, Waukesha, Wisconson) is a thoroughly enjoyable read, and I highly recommend it.